St. Pete Beach Therapist: Monica Burton - Therapist 33706. Send A Message To Monica. 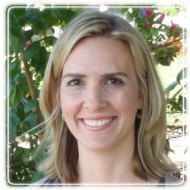 Monica is a Licensed Marriage and Family Therapist (LMFT) practicing on St. Pete Beach, FL. She is the President of the Florida Association of Marriage and Family Therapy, and has been a practicing clinician since 2003. She has extensive training in systemic couples and family therapy, Gottman Method of Couples Therapy as well as solution focused and cognitive behavioral therapy. She integrates these styles into a highly effective form of individual, couples and family counseling. Monica’s approach with you, the client, is to take a nonjudgmental holistic look at the struggles that are happening in your life and focus on finding your own strengths to achieve the change you seek. She doesn’t just “treat” the problem; she helps you explore the intricacies of the relationships involved so you can find the answers and return harmony to your life or your relationship. Monica’s emphasis on factors such as relationships and communication patterns gives clients the tools they need to meet their needs. By focusing on the results you want to achieve and understanding the role of thinking in how you feel and what you do you will be able to empower yourself, your partner or your family to start getting fulfillment from your life and your relationships. Monica believes your greatest change comes from within. Contact Monica to discuss your needs and find out how she can help you break out of your negative cycle and start getting fulfillment from your life and your relationships.